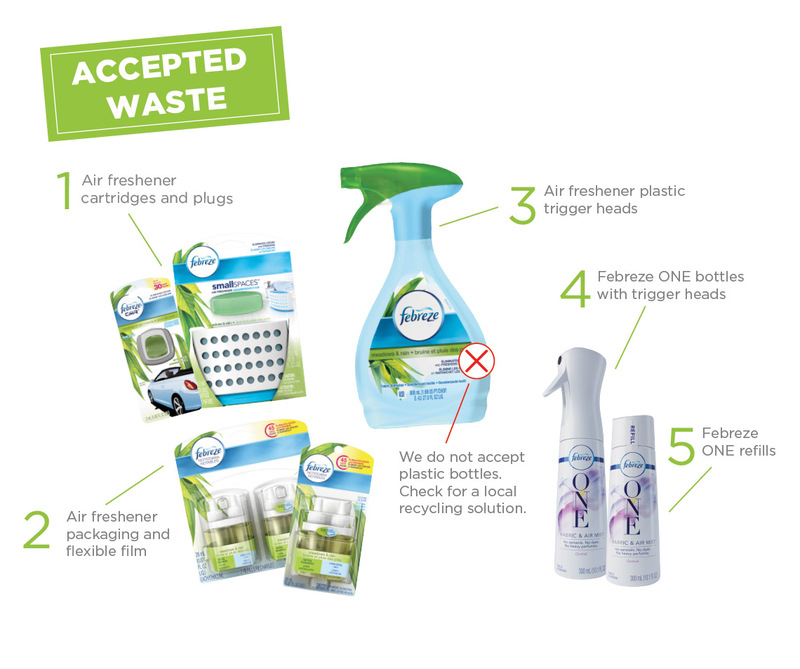 TerraCycle® and Febreze are working together on a recycling program for air care products and packaging, as well as a fundraising opportunity for participants. 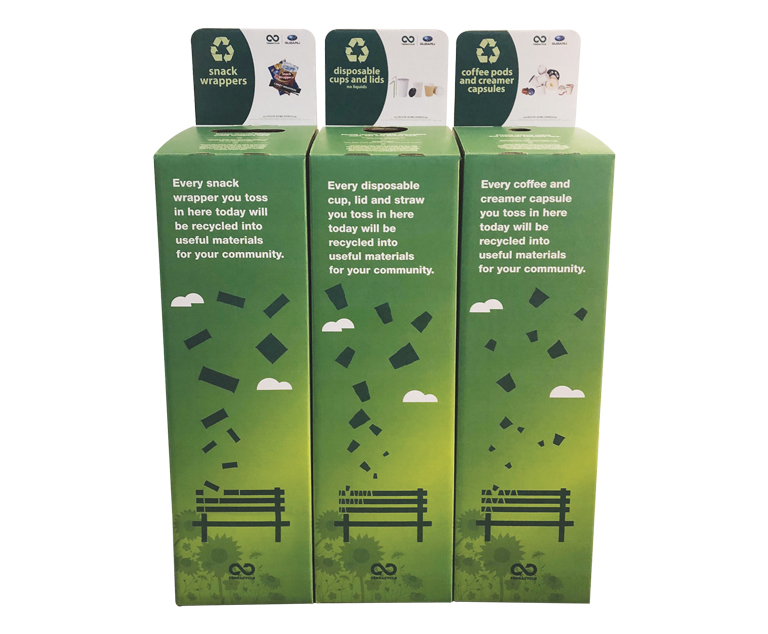 At TerraCycle we strive to develop effective recycling solutions for items that are not widely recyclable at a local level. Through the Febreze Air Care Recycling Program we accept a range of air care products such as trigger heads, which consist of a mix of different materials and are not covered by nationwide recycling programs. In order to make the recycling process as effective as possible we do not accept plastic bottles, as these can be recycled through most municipal programs. Recycling aerosol containers require special handling. Please take them to a recycling center that is equipped to handle aerosol containers. Click the button below for more information on recycling aerosol containers. 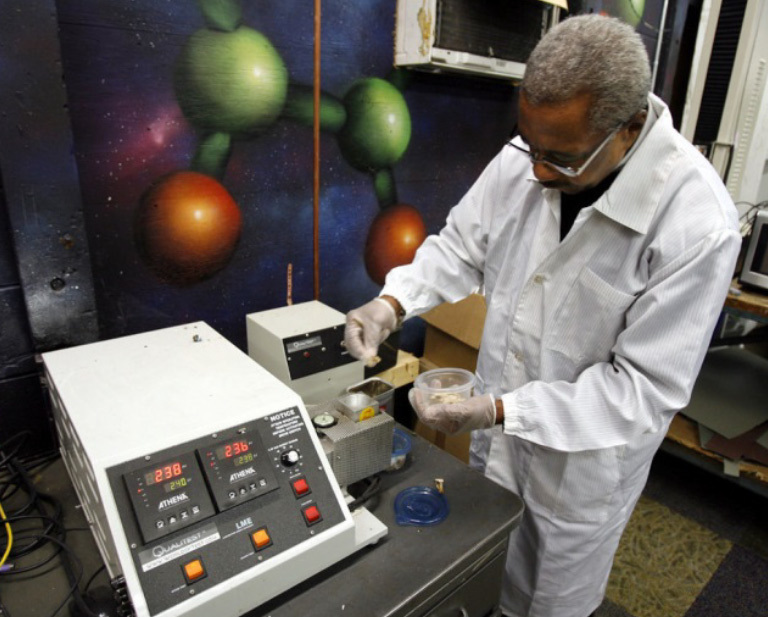 Once collected, the air care products and packaging are cleaned and melted into hard plastic that can be remolded to make new recycled products. Click here to learn more about the recycling process.